Purely functional but with a modern, chic style, the Blomus AREO Toilet Roll Holder is part of a much larger collection of bathroom accessories which work together in perfect harmony. 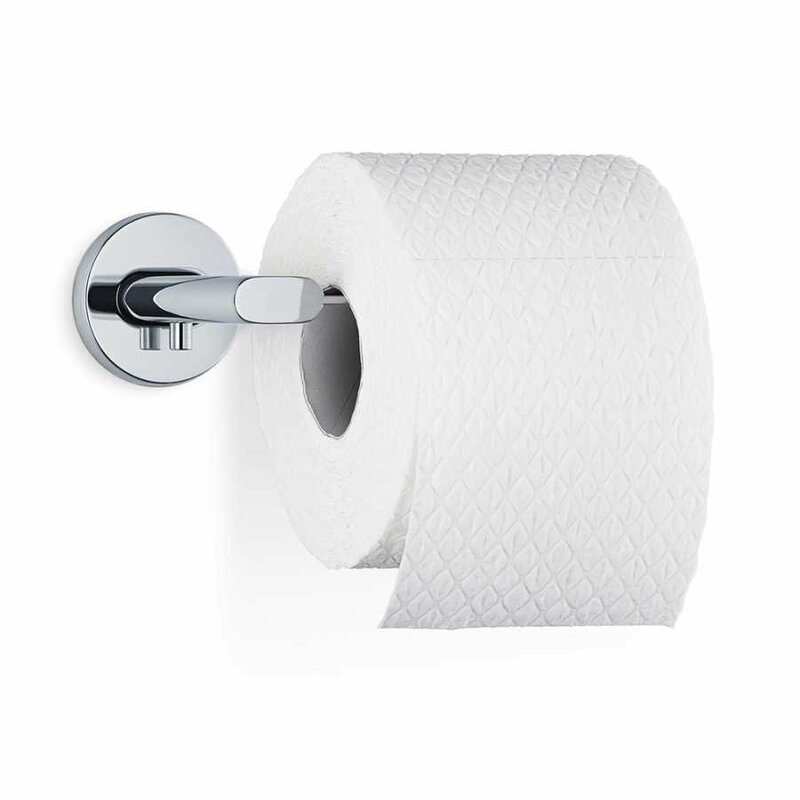 Whether investing in the whole AREO collection or single pieces this Toilet Roll Holder is a practical and simply designed addition to your bathroom. 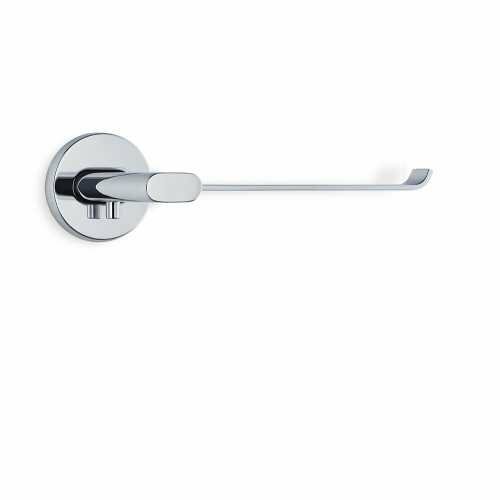 The Blomus AREO Toilet Roll Holder is available in matte or polished stainless steel and it measures 10.5cm in depth with a length of 17cm and the wall plate has a diameter of 5.5cm. The stainless steel finish blends in a wide range of different bathroom décor styles and the toilet roll holder element has a gentle upwardly extending end point which allows the toilet roll to sit conveniently. The Toilet Roll Holder is provided with a wall mounting plate and kit but you could alternatively choose to use an adhesive. It coordinates perfectly with other pieces in the AREO range and the sleek stainless steel finish is a seamless addition to any home. If you’d like to find out more about Blomus and the other pieces in their range please visit our dedicated brand page.